Tire pressure is important. It can effect safety, performance, and the service life of your tires. Here’s some info on what tire pressure is, how it’s measured, and four reasons you should check it regularly. Safety is always your primary concern, and checking tire pressure is about safety as much as it is about anything else. Having the correct tire pressure ensures that you are able to control your car at all times, especially when driving at high speeds. Properly inflated tires will also have the best grip, which is important when braking and slowing down. One of the best ways to improve your vehicle’s fuel economy is to make sure your tires are inflated properly. If a tire is over- or under-inflated, it has more rolling resistance, which can reduce your vehicle’s gas mileage 3-5%. On a pickup truck that averages 15 mpg, for example, a 3% decrease in fuel economy amounts to an extra $10 spent on gas for every 150 miles traveled. In other words, checking your tire pressure can save you gas money. Over-inflation and under-inflation lead to heat build-up in the tires. This increase in temperature is likely to cause unnecessary tire squirm and sidewall flexing, both of which increase the likelihood of your vehicle rolling at highway speeds. 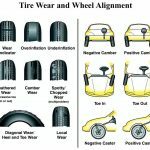 Tread separation – where the tire tread separates from the main tube of the tire – is usually caused by over-heated tires. In the early 2000’s, many Ford Explorers rolled over because of under-inflated tires. 1. 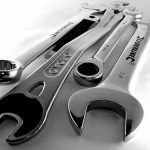 Invest in a decent tire pressure gauge for each of your vehicles. Keep them in the glove box. 2. At least once a month, check your tire pressure. 3. 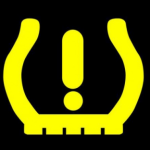 When you check your tire pressure, be sure to do it when the tire temperature is consistent. This is because changes in tire temperature change the air pressure reading. NOTE: To get consistent readings, measure your tire pressure at the same time each day. If you measure your tire pressure before you go to work, then measure it again after your commute is over, you’ll get two different readings.